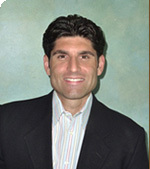 Dr. Hughes is a licensed Clinical Psychologist practicing in the Flatiron District of Manhattan, NY. Through working with young adults, adults, and other professionals throughout his career, he has found that as each person is unique, so too must be the therapeutic approach. This is the meaning behind an integrative and tailored approach to psychotherapy. As one patient could benefit from a more structured, CBT style treatment, another could benefit from using a more psychodynamically orientated treatment. Dr. Hughes feels that the most effective course of treatment is using an integration of treatment techniques while providing a safe, collaborative, and non-judgmental environment. Dr. Hughes completed his Masters level graduate training at The University of Hartford, in Ct. During this time he provided therapy and conducted testing with children, adolescents, families, and older adults. His doctoral training was completed in Washington DC, at Argosy University. During this time he provided care to underprivileged patients, at-risk children, and adolescents in the DC Metropolitan area and in Maryland while utilizing an integration of psychotherapeutic techniques. He also conducted testing and assessment batteries while presenting his findings and working as part of an interdisciplinary team to help coordinate treatment for these patients. He completed his graduate career at the prestigious Karen Horney Clinic in NYC, training and interacting with some of the top doctors and psychologists in the field. At the same time, he provided testing/assessment batteries and individual psychotherapy services to children, adolescents, adults as well as counseling and support to family members. Dr. Hughes is an alumnus and a member of the Alumni Board at Eagle Hill School in Greenwich, Ct. and is an alumnus of King School in Stamford, Ct. Continuing his drive to provide the best care possible, Dr. Hughes is currently enrolled as a "candidate" at the NYU Post-Doctoral Program in Psychotherapy and Psychoanalysis. Please note that as of 2017, Dr. Hughes will no longer be accepting new patients in Ct. Currently, Blue Cross-Blue Shield and Cigna are accepted (please check with your carrier to verify) and Out of Network services are also provided. For more information please contact Dr. Hughes, and/or check his Psychology Today profile using the link on the home page for the most updated information.